The government gathered details of the cases against lawmakers for the first time to put them The special courts are currently being set up in 11 states including Andhra Pradesh, Telangana, Uttar Pradesh, Maharashtra, Kerala, Bihar, Delhi, Tamil Nadu, Karnataka, Madhya Pradesh and West Bengal, the law ministry said. The Centre has informed the Supreme Court that 1,765 MPs and MLAs, or 36% of parliamentarians and state assembly members and Union Territories are facing criminal trial in 3,045 cases. Moreover, the total strength of Parliament and assemblies is 4,896. While 12 states are yet to set up such courts, the status report from states like Assam, Nagaland, Mizoram, Arunachal Pradesh, Manipur and Goa was still awaited, it added. The Ministry of Law and Justice has told the top court that information with respect to criminal cases pending against MPs and MLAs had been sought from High Courts, state and UT Legislative Assemblies and the state and UT governments for compiling the cases. 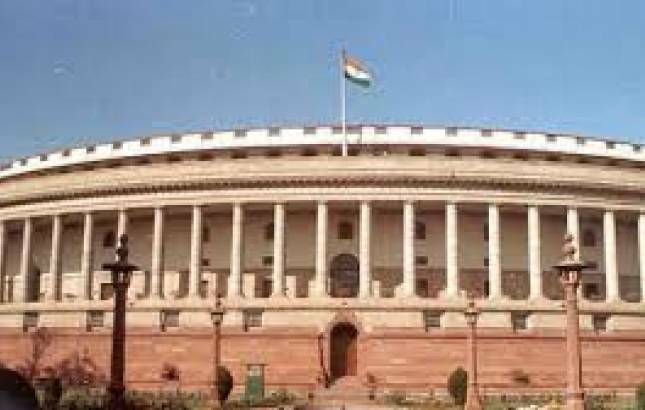 The Law Ministry said that it had sought information from the chief secretaries of the states, secretaries of state legislatures and also from all high courts. According to the basis of figures provided by NGO 'Association for Democratic Reforms (ADR)' which had alleged that 1,581 cases were pending against the lawmakers after the 2014 elections. The Centre has also proposed to set up these courts in pursuance of the top court's November 1, 2017, order and has earmarked Rs.7.8 crore to 11 states under the scheme. While Uttar Pradesh tops the list with a total of 565 cases against 248 lawmakers, Kerala follows with 533 cases against 114 members of Parliament and state assemblies. The details were stated in an affidavit in pursuance to a plea filed by advocate Ashwini Kumar Upadhyay seeking to declare the provisions of the Representation of the People (RP) Act, which bars convicted politician from contesting elections for six years after serving the jail term, as ultra vires. The Election Commission had supported the plea seeking life ban on politicians convicted in criminal cases and said they have already made recommendations on this to the Centre.